BIZFLAME 88/12 FR SHIRT &.. When it gets hot in the kitchen, this style provides the ideal solution. 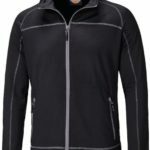 Featuring an aerated mesh section at the back, this jacket came out on top for breathability when wear tested in kitchens. 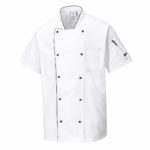 Stylish piping, chest and sleeve pockets, along with button tape add to the overall style of this garment. 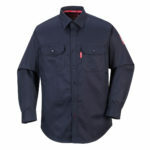 Made from our excellent performing cotton rich fabric with anti-crease finish. IONA 3 IN 1 BOMBER JACKET..
R221M Result Core Men's Channel Jacket. 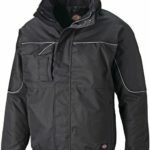 This Jacket has Outer: 100% Polyester StormDri 2000 with PU coating, Insulation: 100% Polyester Taffeta, Body lining: 250g/m Polyester fleece, Sleeve lining: channel quilted 100% Polartherm? 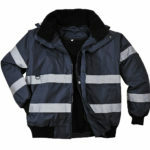 insulation/100% Polyester Taffeta, Fully taped seams, Windproof, Superwarm and light, Easycare, Full front zip fastening with storm flap, Fold away hood, Easy tear size adjustable cuffs, Fitted elasticated waist band, Two side pockets, Mobile phone pocket on right chest, Covered tape collar seam.